New Brazilian President Jair Bolsonaro and U.S. President Donald Trump are expressing mutual admiration on Twitter. Minutes after Bolsonaro took the oath of office and gave his first speech as president Tuesday, Trump tweeted that Bolsonaro had made a "great inauguration speech." Trump also said: "The U.S.A is with you!" Not long after that, Bolsonaro apparently found time to tweet back in the middle of ceremonial activities. His official Twitter account said: "Dear Mr. President @realDonaldTrump, I truly appreciate your words of encouragement. Together, under God's protection, we shale bring prosperity and progress to our people." Bolsonaro is a former army captain with hard-right positions and he has often expressed admiration for Trump and says he plans to emulate several of the U.S. leader's policies. Jair Bolsonaro has been sworn in as Brazil's president. The former army captain is taking the reins of Latin America's largest and most populous nation promising to overhaul myriad aspects of daily life and put an end to business-as-usual governing. 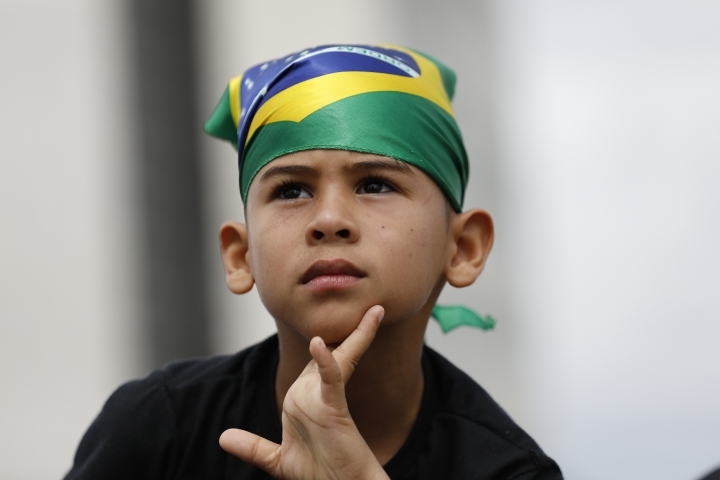 The New Year's Day inauguration is the culmination of Bolsonaro's journey from a marginalized and even ridiculed congressmen to a leader who many Brazilians hope can combat endemic corruption as well as violence that routinely gives the nation the dubious distinction of being world leader in total homicides. A fan of U.S. President Donald Trump, the 63-year-old longtime congressman rose to power on an anti-corruption and pro-gun agenda. Those stances energized conservatives and hard-right supporters after four consecutive presidential election wins by the left-leaning Workers' Party. Many of his stances also terrify detractors, who fear an increase in violence, particularly by police. 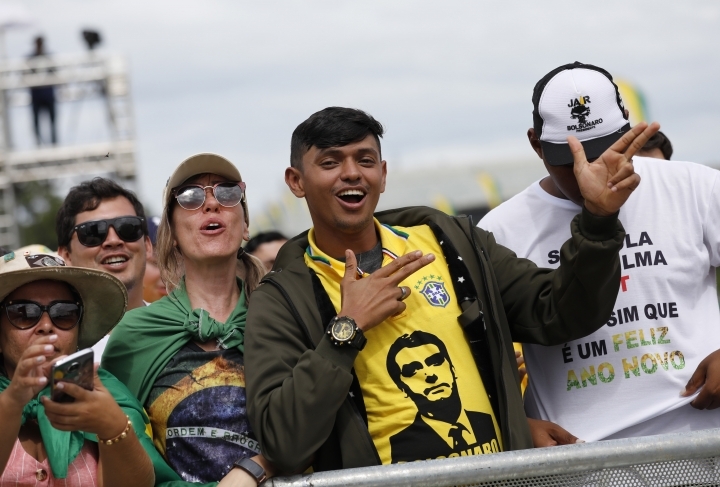 Crowds appeared to be much smaller than the number of people the incoming administration of President-elect Jair Bolsonaro was expecting for his inauguration. 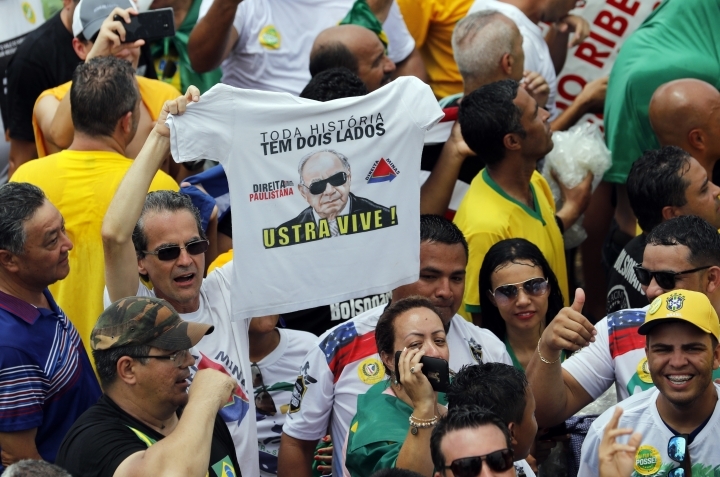 Administration officials say they expected 500,000 supporters to come to the capital of Brasilia. However, large swaths of the areas around Congress are empty as Bolsonaro and his wife ride in on an open-top Rolls-Royce. No official estimates are immediately available. The ceremonies are being held under tight security and four checkpoints have been set up. Journalists covering the event were required to be in position seven hours before the ceremonies were to begin. 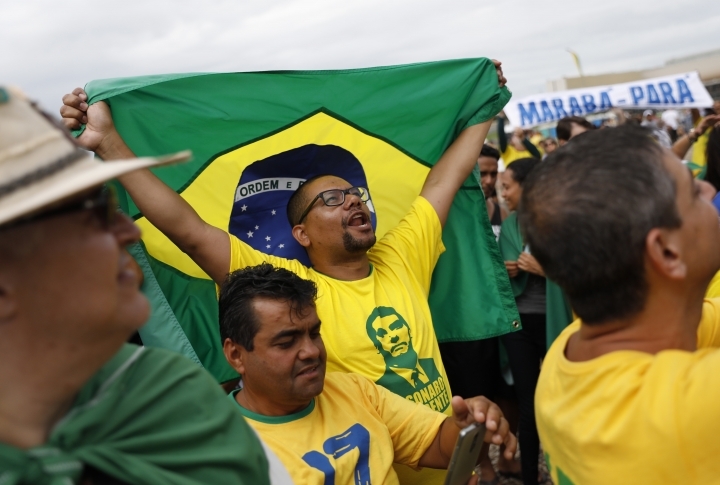 Journalists are complaining about how they are being treated in the hours ahead of the inauguration of Brazil's President-elect Jair Bolsonaro, a vocal critic of the media. The organization of the event is severely limiting media access in public buildings. Journalists were obligated to show up seven hours before the ceremonies were to begin in the late afternoon. According to several voicing complains on Twitter, guards are seizing items they took to feed themselves as they wait, such as apples and forks because allegedly they are a risk. Bolsonaro, a fan of US President Donald Trump, has promised to cut advertising funds of state-owned companies to some media organizations. Several of Brazil's new state governors have been sworn in ahead of the afternoon inauguration of President-elect Jair Bolsonaro. Upon being sworn in, Sao Paulo Gov. Joao Doria promised to "rescue (the state's) passion for doing well." Doria was previously mayor of the city of Sao Paulo, Brazil's largest. In Rio de Janeiro, Gov. Wilson Witzel reiterated campaign promises to crack down on crime, one of the state's biggest problems. He called drug traffickers "narco-terrorists," adding they would "be treated like terrorists." Witzel, closely aligned with Bolsonaro, has floated ideas that include using sharp-shooters during police operations to shoot and kill drug traffickers. 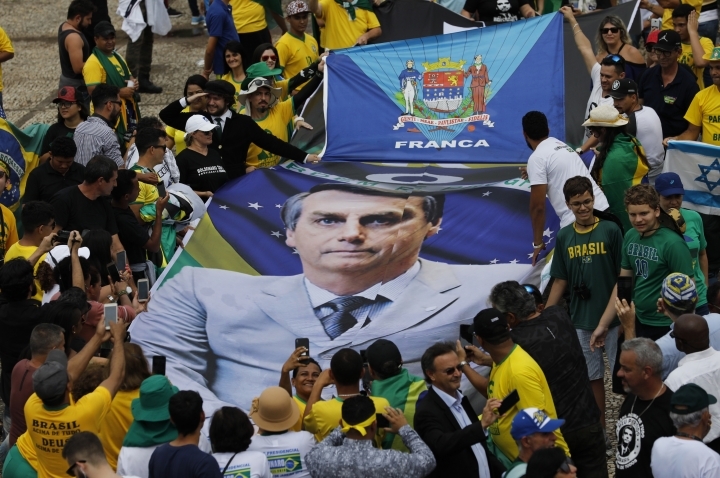 Bolsonaro's inauguration is expected to begin around 3 p.m. local time (1700 GMT). 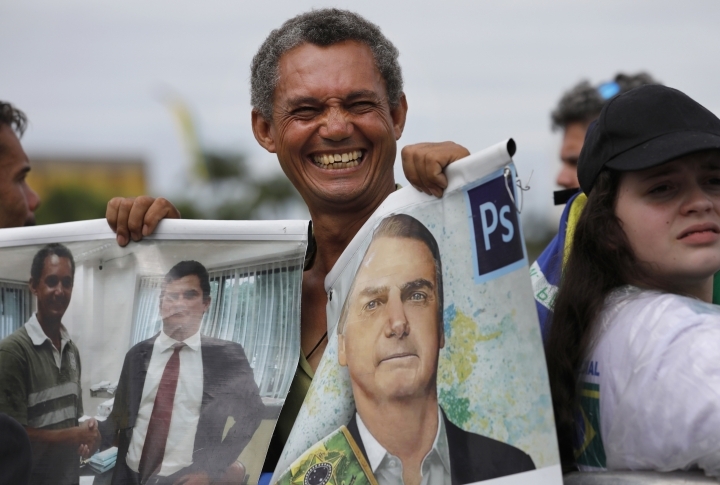 Former Brazilian army captain Jair Bolsonaro is taking office as president Tuesday promising to overhaul many aspects of life in Latin America's largest nation. He is no longer the outsider mocked by fellow lawmakers for his far-right positions, constant use of expletives and even casual dressing. 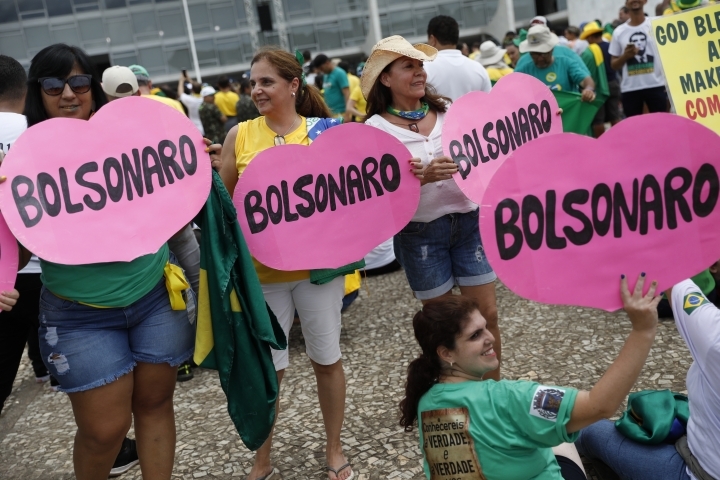 Bolsonaro rose to power on an anti-corruption and pro-gun agenda that has energized Brazilian conservatives and hard-right supporters after four consecutive presidential election wins by the left-leaning Workers' Party. He is the latest of several far-right leaders around the world who have come to power by riding waves of anger at the establishment and promises to ditch the status quo. 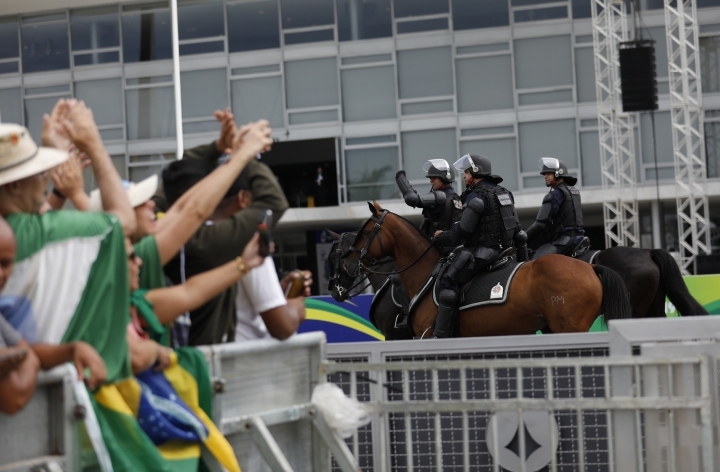 Brasilia will be under tight security, with 3,000 police patrolling the event. Military tanks, fighter jets and even anti-aircraft missiles will also be deployed.